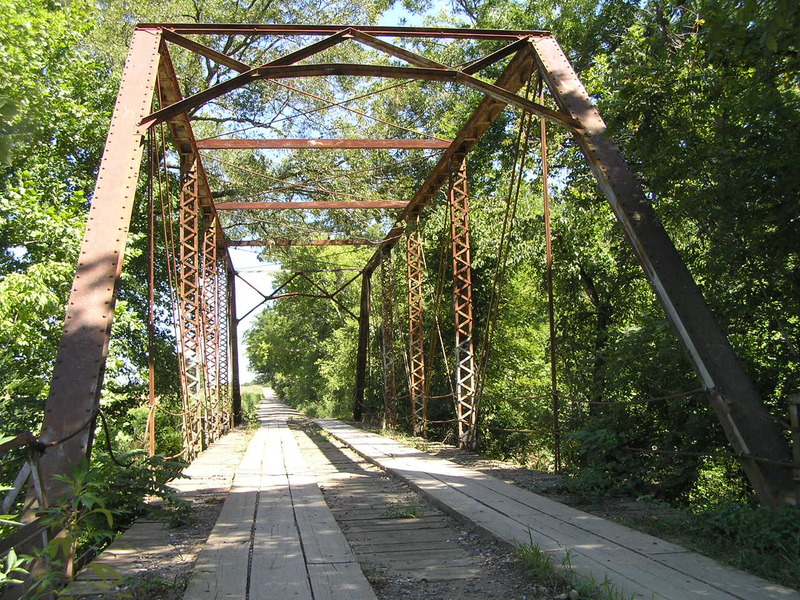 Built in 1911, this 100-foot pin-connected Pratt truss spans Cloud Creek near the town of Boynton. Above, a view through the bridge. 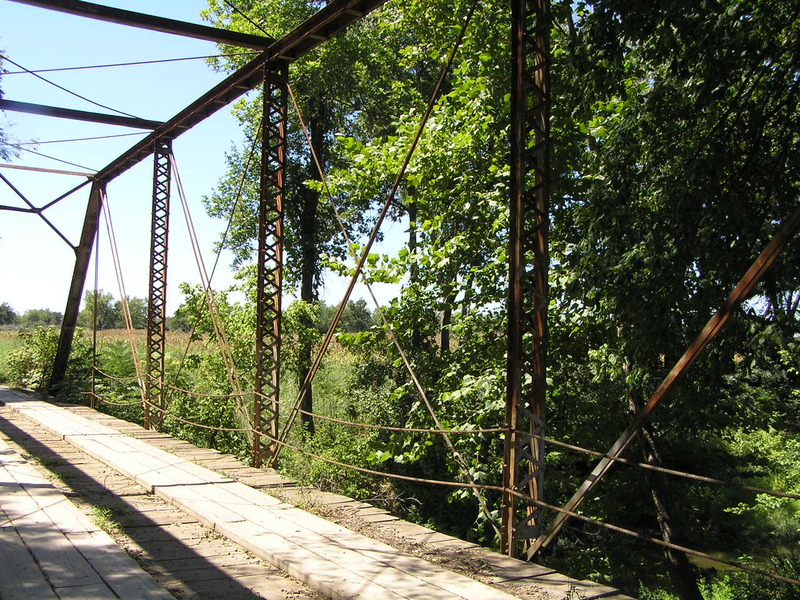 The bridge also has an approach span, visible above, with the railing made of angles. 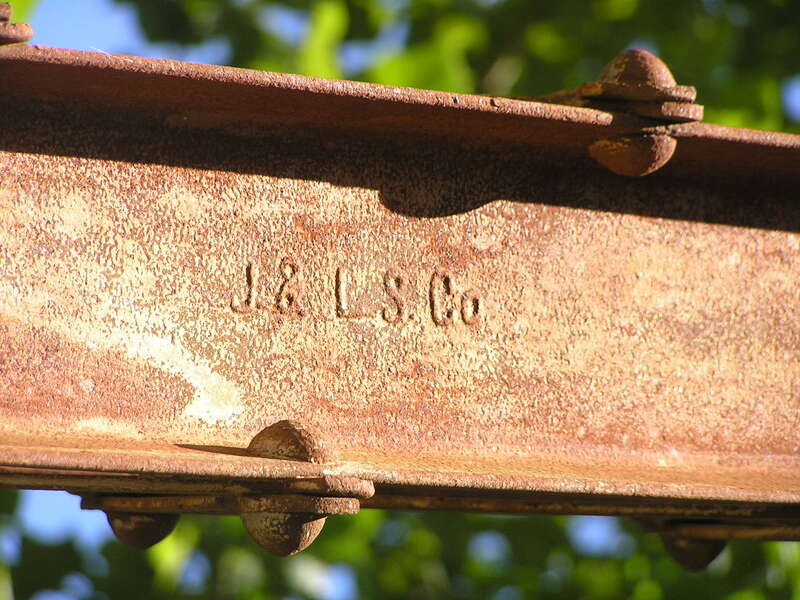 Below, a Jones & Laughlin Steel Co. mark on a channel. Above, an alongside view. The floorbeams are attached by u-bolts and nuts over the pins. Note also the first vertical after the endposts is two rods. 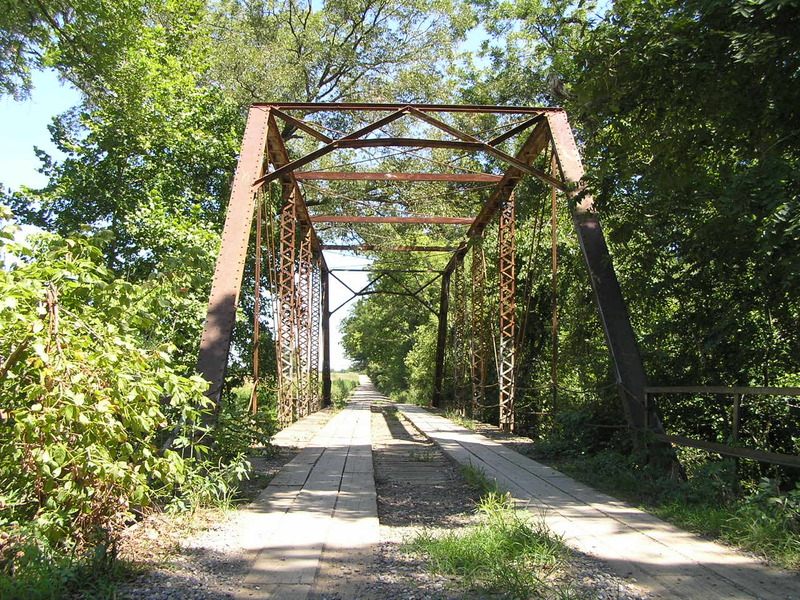 Below, deck view of truss. 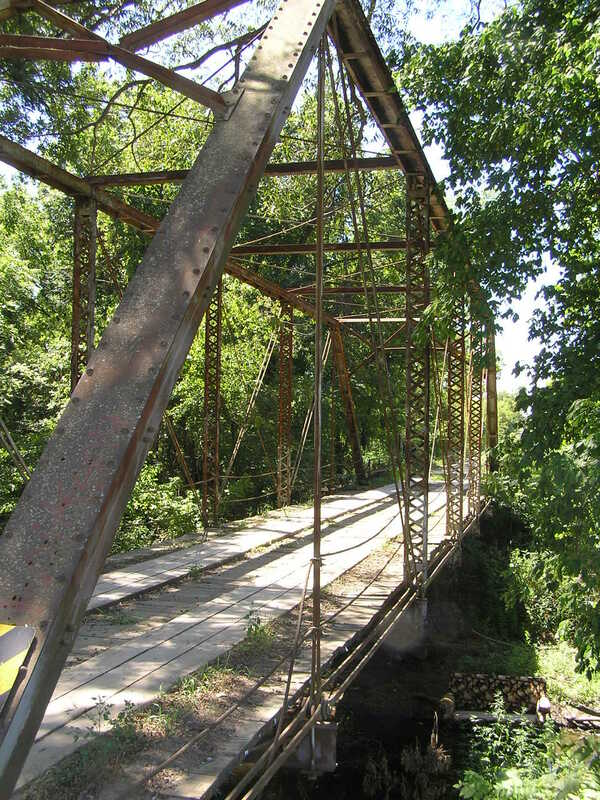 This bridge probably had wooden railing originally, now replaced by steel cables. 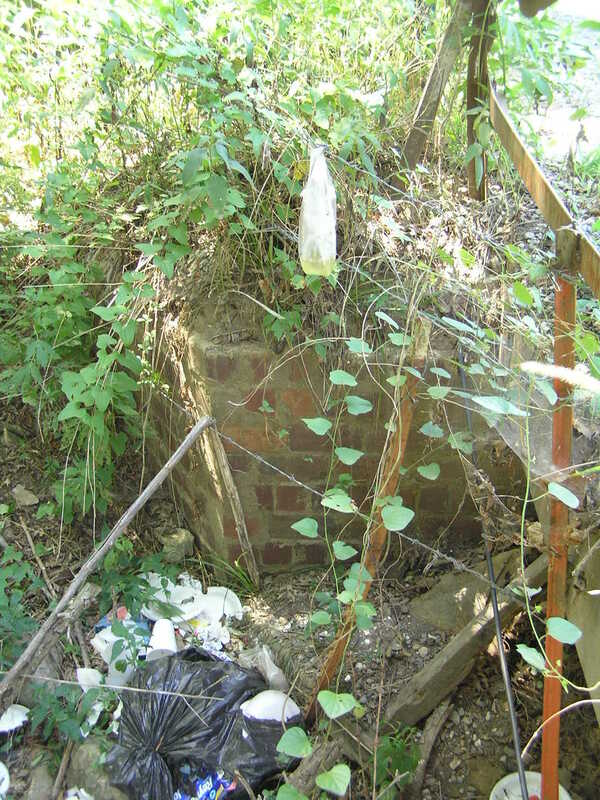 Above, brick abutment at one end of the bridge. Below, a through view of the bridge.